Brenda Drinkwalter is a retired senior executive who has served on for profit and not for profit boards for many years. Most recently, she was Chair of the Board of Georgian Bay Forever, a charity dedicated to scientific research and public education on Georgian Bay’s aquatic ecosystem. She is currently working with others committed to the Great Lakes, on a new Great Lakes initiative, one where Ontario’s Lieutenant Governor is a Honourary Patron. 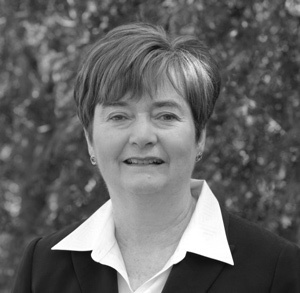 In corporate life, Brenda was most recently Senior Vice President of Corporate Affairs, Canada and Latin America and Global Privacy Coordinator at IMS Health Ltd. She also served as Vice President of Corporate Relations for Novopharm Ltd. and President of the Canadian Drug Manufacturer’s Association. She represented her industry on the numerous federal and provincial committees including the Sectoral Advisory Groups for International Trade for both the FTA and the NAFTA. Brenda’s love for the Great Lakes stems from a childhood spent on Lake Superior where Group of Seven artist A.Y. Jackson came to paint most summers and from more than 25 years of cottaging on Georgian Bay with her late husband Al, their two children and four grandchildren. Protecting the Great Lakes for our ‘kid’s, kid’s, kids’ has long been important to her. Brenda holds an Honours Bachelor of Science. in Biochemistry from Queen’s University, an MBA from York University and a Director Certification, ICD.D from the Rotman School, University of Toronto.